What can I send to India? What items are restricted? Please ensure you have read the India destinations page to fully understand the customs clearance process as duty free clearance for personal effects is not guaranteed and the consignee's physical presence may be required at customs. Please ensure to enter the same name for the shipper and receiver on your order, as this is a requirement for Indian customs. The name should also exactly match any documents provided for customs clearance such as passports or aadhar cards. There is a lot to see in India, which makes it the perfect destination for an extended trip. If you’re going to visit the country for any extended period, then the service provided by Send My Bag will be invaluable to you, allowing you to bring everything you need to see you through to the end of your trip. Send My Bag will pick up your baggage and drop it off at your destination accommodation, taking the hassle and stress away from you. Large items such as hiking or climbing gear can be a bit of an annoyance when travelling. Perhaps you don’t have a very generous baggage allowance, which means that any excess baggage can be pricy. You can avoid such costs by using Send My Bag, enabling you to enjoy your holiday, worry free. Our service is also great for international students studying for their degree in India or for those planning to spend a year abroad or gap year in India. Send My Bag can help students quickly set up home in India by shipping their possessions, including clothes, books and DVDs. If you are enjoying an extended trip or an activity holiday in India, or if you are moving there permanently, you can avoid a lot of hassle by sending your possessions with Send My Bag. Your possessions will be looked after for you, allowing you to get on with exploring all that India has to offer. Send My Bag will pick up your bags at home and deliver them to your accommodation in India. You can send as much as 30 kg per bag, which means that you can bring all your home comforts with you to help you set up home abroad or to fully enjoy your holiday or new life. To find out more about sending luggage to India, visit our ‘How it works’ page, or our ‘FAQs’. If you are an experienced cyclist, cycling in India can be a real eye-opener and a great way to see India off the beaten track. It’s best to stick to quieter roads and watch out for buses and other vehicles. Why not ship your bike to India with Send My bag and enjoy the Indian scenery from the comfort of your own bike? If you send your bike you can avoid exceptional baggage fees from your airline and avoid the hassle of carrying a heavy bike to and from the airport. To find out more about shipping your bike, read our bike shipping page, where you can learn how to best package your bike for safe transport. Why not try golfing in India, using your own clubs, which you can send with Send My Bag? India has around 200 golf courses – so plenty for you to choose from. Those considered the best include DLF, Oxford Golf and Country Club and Aamby Valley. Why not sample some of these courses while you are in India? Sending your golf clubs is easy, just make sure you find out how best to prepare your golf clubs for transit by visiting Send My Bag's page on sending golf clubs. If you are attracted by the beauty and intrigue of India and are moving there permanently, you will have to look into international removals to India in order to move all of your possessions. Make sure you choose a reputable removal company and ensure that all your items are carefully packaged so that they won’t get damaged in transit. Use appropriate packaging for your items and seal everything up well. India is a popular destination for students in engineering and IT due to the Indian Institutes of Technology, which offer undergraduate and postgraduate degrees that are very competitive to get into. If you have decided to study in India you can easily send your possessions with Send My Bag, which allows you to take lots more with you than you could check into an airplane hold – so all the books, writing materials and clothes you might need throughout your course. Discover more about student shipping and how to claim your student discount by reading our student removals page. You could send a parcel to India with Send My Bag, which is useful if you only need to ship a small number of items. Friends and family at home can use this service to send things to you in India, like presents or care packages. Just ensure that you pick a good solid box when sending a parcel to India and seal it up well so none of your items get damaged in transit. Also make sure you are aware of rules relating to personal effects and brand new items (see below). Read our information page on how to send a parcel, to find out what you can send with Send My Bag and how to best package your items. If you need to send large items, like a wardrobe or table, to India you could look into using air freight. It normally takes one to two days to fly your items from one airport to another. This makes it a quick service, but it can be an expensive one. What you have to pay depends on the weight and size of your shipment. You will probably also have to hire a customs agent to handle customs clearance for you. Plus, you need to work out how to get your items to and from the airport, which means that costs could quickly mount up. If you send internationally by air freight to India your items will likely arrive at one of the major international airports, such as New Delhi, Chennai or Mumbai Airports. You could consider sea freight or container shipping to move your possessions to India. Again, this is a good option for bulky items, like a stove or dining table. It can be less expensive than air freight, but you will still need to hire a customs agent and will need to arrange how to get your items to and from the ports, which means it could cost more than expected. When using container shipping to India your items will most likely arrive by ship at a major sea port, such as Mumbai, Chennai or Paradip. You need be familiar with current Indian customs rules when shipping goods to India. You should be fully aware of any duty that you need to pay and what items are allowed to be shipped to India, which items are restricted, and which are entirely disallowed. Read the section below on ‘What can I send to India? What items are restricted?’ to find out more. The best way to get our stuff shipped from another country. Very accurate and helpful. Better communication with courier partners for international shipping might help, especially with regard to additional charges that come up at the receivers end. In order for shipments to clear Indian Customs, the owner of the goods must be named as both the shipper and receiver on the booking. Duty exemption is not guaranteed for unaccompanied baggage and we recommend contacting the relevant customs authorities in India before shipping so that you are aware of the amount of duty and taxes which may be applicable in your circumstances. Customers will need to provide a copy of their passport matching the name on the booking, proof of address matching that of the delivery address, and in the case of foreigners residing or visiting India temporarily, a copy of their visa or PIO card. If you list an additional care of name on the delivery address, Indian customs may also request documentation for this person before the shipment is cleared. If delivery is to a business address, but for a personal shipment, proof such as an employee ID card, job offer letter or similar may be required. Additional charges of 2200 INR may be levied for clearance of personal effects, along with storage charges if the receiver does not attempt to clear immediately and goods and services taxes (GST) even if the shipment is cleared without duty. When a bag is stopped by customs for any reason (missing documentation, prohibited contents, commercial contents or further information required) Send My Bag™ records how long customs hold it for. Our historical statistics for this route indicate that if the customs authority stops your bag they will on average take 10 days to process it and release it back to us for delivery. India allows gifts up to a value of INR 10,000 to be shipped duty and tax free (this also applies to “business samples”). A consignment declared cannot contain any more than 10 of the same item and must be sent between 2 individuals without any form of payment having been made (unsolicited). Indian customs have the final say on whether a consignment can be declared as a gift and the true value of the shipment. India has something for everyone: explorers, nature lovers, those who enjoy the hustle and bustle of a city, and those who want to get away from it all. The weather is warm all year round with temperature highs around April, May and June. It’s slightly cooler during winter and you see the most rain over the summer months, when it is often torrential. In India, people speak Hindi as well as English and the currency is the Indian Rupee. Although India is a popular tourist destination, many of the citizens are very poor, so outside of the main cities, life is very different to what you may expect. That doesn’t mean it’s not beautiful or that there is nothing to see. Some of the top things to do in India include visiting Delhi ‒ a loud, bright and bustling city. 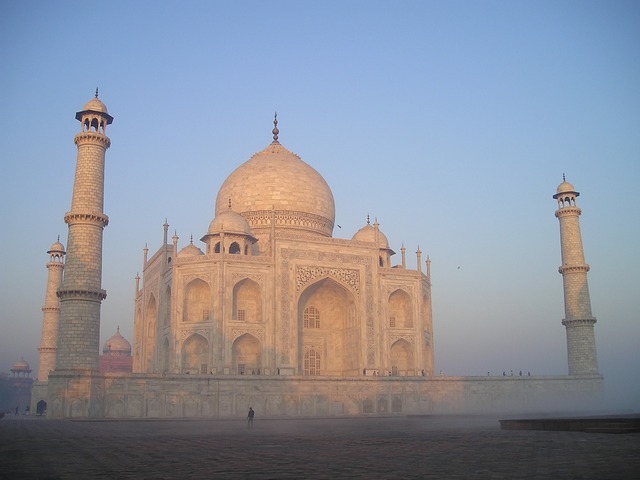 Then you have the most popular destination ‒ the instantly recognisable Taj Mahal. Other intriguing cities include Mumbai (Bombay) and Bangalore. But it’s also great to get out and enjoy the breath-taking scenery, with plenty of hikes and bike trails to enjoy, as well as the option of mountain climbing, kayaking and other adrenaline-inducing sports. One thing people recommend is having an itinerary when travelling to India, particularly as transport isn’t reliable and getting around can be tricky. You can't rely on tap water in India and travellers are advised to drink bottled water and to make sure they keep hydrated. Visitors should also avoid eating meat and food they can’t see being prepared, to avoid the dreaded ‘Delhi belly’. But don’t let these warnings put you off; India is a country that is well worth a visit.